Forests in New Jersey have experienced the negative impacts of pathogens, pests, and diseases over the years, many of which target specific species or genus of trees. One pest that has arrived over the last three years in New Jersey is the Emerald Ash Borer (EAB). First identified in Somerset county in 2014, it has now spread to over ten counties throughout the state. EAB is an invasive insect that carries out its life cycle solely in ash trees, ultimately killing the tree within four to five years. One of the most recently documented occurrences of EAB was identified by New Jersey Audubon staff in the spring of 2017 at Merrill Creek Reservoir in Warren county. This occurrence only helps to remind land managers of the inevitable: EAB is here and will continue to have significant impacts on our forested landscapes. Realizing the potential for widespread loss of ash stands on its own properties as well as others, NJ Audubon staff have begun utilizing forestry practices to proactively prepare for the impending forest changes. 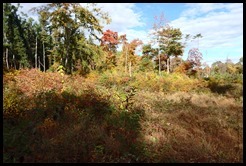 NJ Audubon currently utilizes forestry practices on a variety of its lands to mimic now-limited natural disturbances (i.e. fire, beaver impact, storm damage, flooding), which creates a mosaic of different sized and aged forest stands over time. These variations in species, age composition, and size classes helps create the necessary diversity and structure to support a multitude of wildlife that utilize various stages of a forest’s life-cycle. 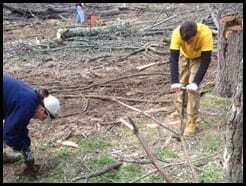 Recently, NJ Audubon staff completed forestry work on a forest stand at the Wattles Stewardship Center property and two stands at Merrill Creek Reservoir. Both sites were prepped by mowing existing woody invasive plant species throughout the stands. Future herbicide treatments of invasive plant regrowth will promote the successful reestablishment of native vegetation. After completion of invasive plant species control, harvesting of ash trees was completed at Merrill Creek, which was already confirmed to be in the beginning stages of an EAB infestation. Select walnut trees were also harvested to open the canopy and because of their allelopathic characteristic. This is a trait where a plant can release biochemicals into the soil which hinders growth or germination of other plants; including desirable species. Ash and walnut were also selected against at the Wattles site, although no timber was harvested. At the Wattles Stewardship Center, the technique of girdling was used to kill unwanted walnuts and most ash were left with the expectation of die-off within 5-7 years. 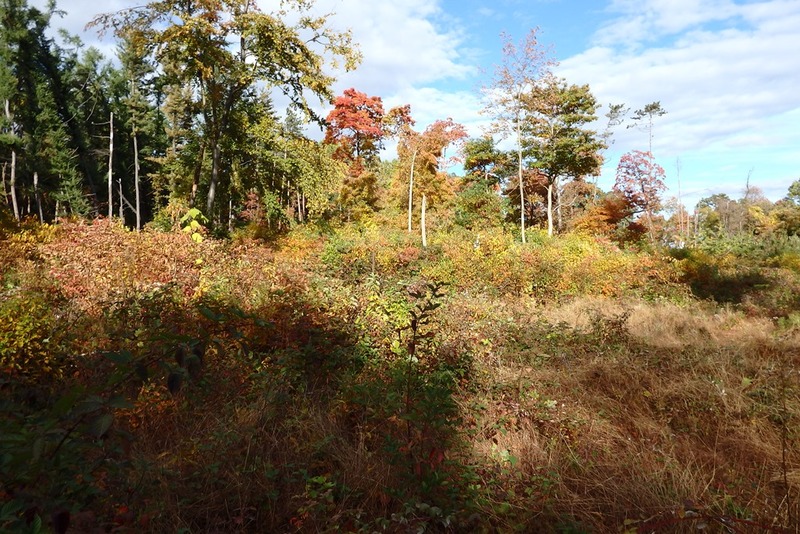 With the forestry work completed, NJ Audubon staff recognized that future regeneration, if left to naturally occur, would be a high percentage of ash and walnut returning from an existing seed bank. 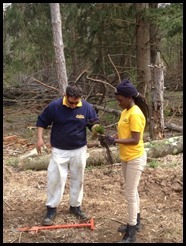 To ensure forest regeneration of more diverse species, NJA staff, Merrill Creek staff, and the New Jersey Youth Corps planted over 4,000 seedlings between both sites which were provided by The New Jersey Tree Foundation. This reforestation effort with NJ Youth Corp is also part of the Delaware River Watershed Initiative, which works to maintain or improve water quality through the implementation of best management practices and other natural resource protection measures. Each site was planted with a mixture of oak, pine, black gum, and black cherry trees. To further ensure the successful reestablishment of the young forest, low voltage electric fence was installed around each work area to discourage deer browse until the trees and other vegetation has fully established. With the use of successful forestry practices, thoughtful foresight, and unique partnerships, NJ Audubon has successfully continued its work to improve the health and management of our forests. Through science-based, responsible land management we can all continue to enhance and strengthen the habitats throughout New Jersey.